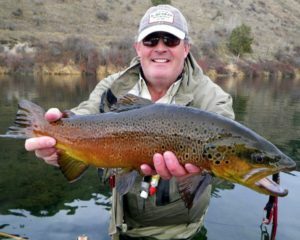 Description: The class will cover southeast Idaho waters; including rivers, small streams and lakes, as well as methods, tactics and flies. Anyone who is planning a trip to southeast Idaho would benefit from this presentation in order to know what to bring, when certain hatches take place as well as where to go and what to do. It will be a comprehensive course on the numerous and productive waters in southeast Idaho and the Greater Yellowstone Area.